My journey to becoming a writer started when I was in fifth grade. I liked to skip recess to write these really terrible short stories about families with 3 sets of triplets and 2 sets of twins and a set of quadruplets and 20 golden retrievers. At the time I thought it would be cool to have tons of kids… and now I’m 31 and think I should knock my 10-year-old self upside the head. When I went to college at American University, I tried to major in literature and creative writing but I didn’t do very well in the classes. Everything I took from the books I read was not what I was “supposed” get from them according to professors. However, I had a really cool Creative Writing professor who told me I had the chops to be a Southern Gothic writer. He gave me the courage I needed to keep writing. In fact, that class is where I started writing THINGS I CAN’T FORGET, which became a real book 10 years later. When I turned 26, I started writing this novel about a teen boy who grew up on the moon and decides to divorce his parents and move to Earth. I know, I know, I stole the plot from that Disney movie Xenon, Girl of the 21st Century. But the real problem with the book is that I didn’t know my audience. I wanted teen girls to read it, but the only people who enjoyed it were like 60 year old men. I’m not kidding about that. I sent out about 150 query letters, and only 4 people asked for a partial and one asked for a full. I was pretty down on myself for a while, but I realized I needed to move on and write something new if I really wanted a career in publishing. Once I discovered who I wanted my audience to be, I started writing CATCHING JORDAN. It was easier to find an agent with that book (I sent out 17 query letters, got 9 requests, and 4 offers), but it was difficult to find a publisher because no editors thought teen girls like sports. Isn’t that NUTS? Of course girls like sports. I am so grateful that Sourcebooks gave me a chance. 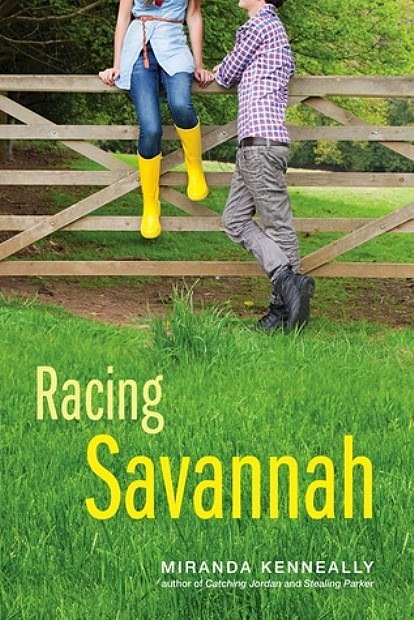 I’m thrilled my fourth book, RACING SAVANNAH, is coming out from Sourcebooks. Publishing has been a great experience. 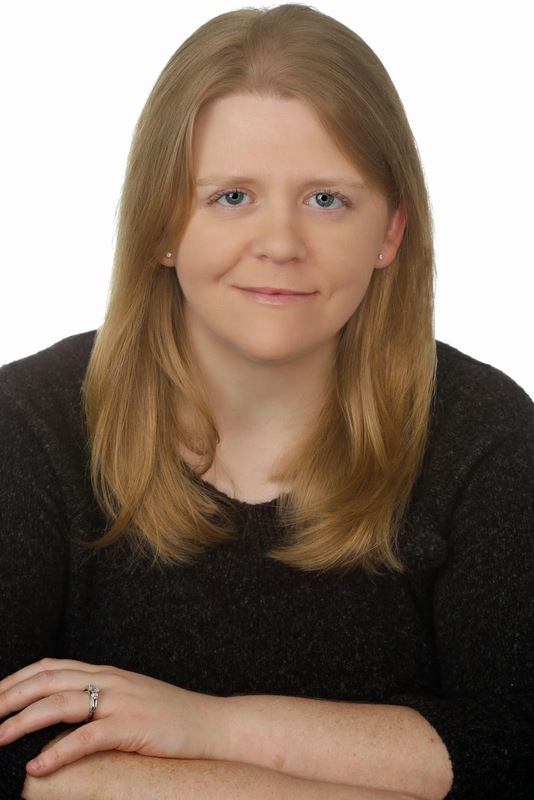 Miranda Kenneally’s books have always brought on strong characters. Her latest edition of the Hundred Oaks Series, Racing Savannah, follows suit with Savannah as the avidly charming and strong-minded lead character. She has a passion for horse racing but always felt like the other jockeys thought she was not good enough for the sport. It certainly does not stop her and only feeds her will to change their view on her. Her lifestyle is the black-and-white opposite of the love interest, Jack. His family belongs with the elite socialites. One may think he is spoiled and never had to get his hands dirty to get what he wants, but readers will quickly learn there is so much more to him. In order to further advance their relationship, they will lead a path where both of them will have to overcome impediments because of their obvious differences. There are plenty of things to learn from Savannah and Jack’s story. Reaching your goals and achieving your dreams are an important part of life’s happiness, but it is important to always know where you came from. Although Savannah goes through pivotal life changes, she knows that her honesty and sincerity are what got her there. Jack, on the other hand, had to deal and face the typical stereotypes that entail the young and rich. He never falls in line with that crowd as readers get a first-hand experience of his positive outlook in life, not just for himself, but also the people around him. Much like the other books in the Hundred Oaks, the writing followed a clever and attractive formula that touches on themes that are important. Kenneally’s strong characters are an important factor that makes this a wonderful read. Jack and Savannah’s story felt real. Their ups and downs are wonderfully described and it was easy to place yourself in their shoes. Another aspect I love in Kenneally’s Hundred Oaks is that characters from past books make appearances. It was a nice surprise to know that these characters are still around for us to add more conclusions to an already closed book. I think Kenneally’s approach in her stories and characters is absolutely brilliant. It’s like the story keeps continuing. Racing Savannah is no exception. I’m sure that we will see Savannah and Jack later down the line. --A pair of Ralph Lauren riding boots. Or another pair of boots at equal or lesser value. I love Miranda's path to being a published author. That's some great advice: find your audience. 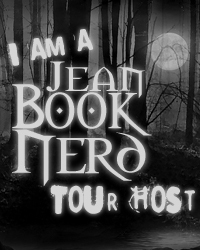 And I really like your review, Jean! I love horse racing, so this looks like a really good book to check out. And what a cool giveaway- riding boots, love it! I really want those boots! And more importantly, I am such a fan of Mirana Kenneally. Her stories are touching and emotional, but they are also full of humor and light. She is a fantastic writer, and I am happy that I stumbled across Catching Jordan at the library one day and decided to give it a shot! http://www.seo-training.searchxperts.com/>what a cool giveaway and i am such a fan of miranda kenneally , i love horse ridding thanks for sharing.